Election Day is just under six weeks away, and a new poll from the Public Policy Institute of California shows some races tightening. In the race for governor, 51 percent of likely voters favor Democratic Lt. Gov. Gavin Newsom, while 39 percent prefer Republican John Cox. Just 7 percent are undecided. While Newsom still has a comfortable lead, it has actually been cut in half since the July survey. PPIC President and CEO Mark Baldassare said Cox has been successful at redefining himself as an independent this summer, and that should be a bit of a wake-up call for Newsom. "I think that what this says to the Newsom campaign is that it’s time to get our message out as to why our candidate has positions on the issues that are closer to Californians," Baldassare said. 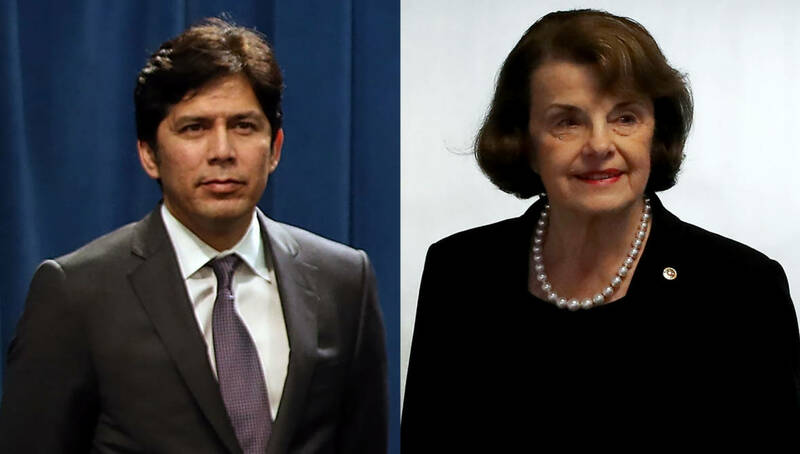 The race for U.S. Senate has also gotten closer, though Sen. Dianne Feinstein still holds a double-digit lead over state Sen. Kevin de León. Likely voters prefer Feinstein by a margin of 40 percent to 29 percent over de León. But, notably, about a quarter of voters said they won't vote for anyone in the all-Democratic race. Baldassare said that should help Feinstein. "If you exclude the people who volunteered they would not vote, and I actually believe they will not vote based on what we saw in 2016," Baldassare said, "that would tend to help the incumbent." In 2016, nearly 2 million California voters skipped the Senate race altogether. The poll also found that Proposition 6, the gas tax repeal that was supposed to help get Republicans to the polls, is trailing. Fifty-two percent of likely voters said they'll vote against Proposition 6, while 39 percent said they'll support a repeal. Eight percent are undecided. Baldassare said the repeal is failing to gain majority support even in some of California's most expensive areas. "We found that across the regions of the state, there are less than a majority in every region," he said. "For instance, in the Bay Area, 43 percent said that they would vote yes and 51 percent said that they would vote no." Voters seem to be shying away from expanding rent control as well. Forty-eight percent said they oppose Proposition 10, which would allow cities to implement rent control if they choose to. Thirty-six percent support the measure, while 16 percent are undecided. Baldassare said the complex issue might raise too many questions for voters. "They're not sure how rent control works," he said. "If you're a homeowner, what effect will it have on you? Most voters are homeowners. If you live in a rent-control area, what effect will that have?" Baldassare said he expects to see some movement in these poll numbers over the next several weeks as campaigns kick into high gear and voters get inundated with more information. But overall he said Newsom and Feinstein are both in strong positions, while Propositions 6 and 10 have a lot of ground to make up.